The diameter is refer to the thickness of the fiber,please choose the size of the cable to match the corresponding equipment port. Plenum-rated fiber optic cables are different from other types of cabling by the special types of plastics used in the fiber optic cable jackets. Because plenum cables are routed through air circulation spaces, which contain very few fire barriers, they need to be coated in flame-retardant, low smoke materials. These plastics offer good resistance against possible fire, and in the event that they do begin to burn, they will not emit large quantities of harmful fumes. Fiberinthebox’s Plenum Fire Rated fiber cables provide a low cost option for gigabit Ethernet network applications. 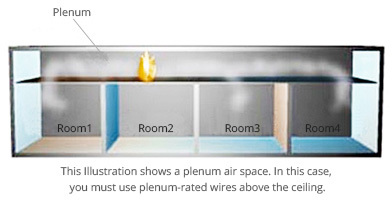 Plenum rated cables are used for running in walls and air plenums without the use of conduit. Each cable is tested for optical integrity and loss prior to packaging to ensure proper data transmission. The durable rubber boots protects against damage typical in busy data racks and each end is properly labeled for easy identification. According to National Electric Code (NEC), a plenum is a "compa ment or chamber to which one or more air ducts are connected and forms pa of the air distribution system." that is to say, as a plenum, the space above an acoustic tile ceiling would have to extend above other rooms in the same building or be open to ducts connecting it to other pa s of the building. The concern is that during a fire, if there is burning material in a plenum air space, smoke and fumes can travel through air ducts to the whole building. For this reason, there are codes to restrict the types of materials (such as cables) that can be placed in the plenum. Fiberinthebox are manufacturer and supplier of fiber optic cable. 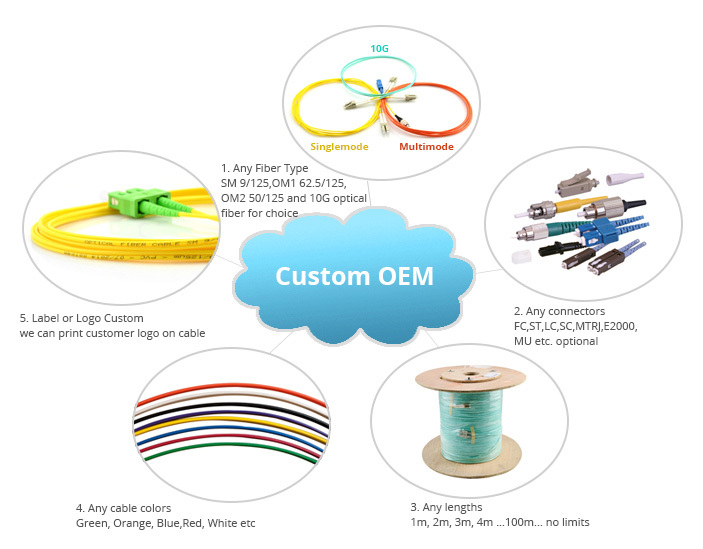 If you have any special requirement, Please contact us by email to sales@fiberinthebox.com . Although the National Electric Code may allow non-plenum cable, the final decision is up to your local Fire Marshall. Most cities adopt the national codes as their own without revision, but some cities modify or expand them and require plenum-rated cable in all situations. Regardless of the code or its interpretation, your Fire Marshall makes the final decision. We recommend that you contact your Fire Marshall if you have questions.